North-east business rates have come under scrutiny again after claims the region was being “short changed” by the government. 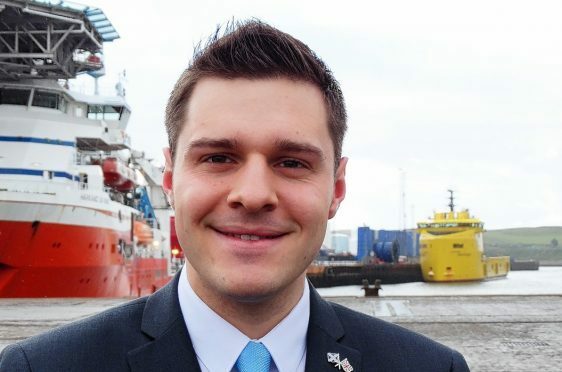 Scottish Conservative MSP, Ross Thomson, has secured a members’ debate on the issue at Holyrood – on Thursday – to explore how companies have been affected by a problem which “simply won’t go away”. Mr Thomson, a city councillor and regional MSP, claimed business owners had been very clear the rises could mean job cuts or even closures in some cases. He added: “I am delighted to have secured this members’ debate at parliament on business rates rises, which is an issue for this SNP government that simply won’t go away. “While the measures announced by Derek Mackay were welcome, there are still sectors that will be hammered by increases in their bills at a time when the local economy is struggling. “Both Aberdeen City and Aberdeenshire have set aside small amounts to offset the rises, but there is little the local authorities can do given the cuts to their budgets from Holyrood. “We should be doing all we can to help businesses – particularly those in the north-east who endured difficult times due to the downturn in oil and gas. Last week, Aberdeenshire councillors met at Woodhill House to approve a £3million rates relief package for the north-east firms, who have been worst hit by recent rises. At the time, council co-leader Richard Thomson said: “We’ve listened to local businesses, examined the evidence, and lobbied hard with the Scottish Government which has since announced a further relief scheme of its own. “We are now bringing forward a rates relief scheme which will support over 1,200 Aberdeenshire businesses in the year ahead, and which is complementary to the very substantial range of business rates relief already on offer from the Scottish Government.